Fish tanks fascinate most kids, but the cost of maintaining an aquarium and the chore of cleaning it aren't so fabulous. So we've created a faux fish tank that combines the beauty of colorful creatures swimming about with the simplicity of a fish-free jar. Your kids can help create a recycled faux fish tank that's high on imagination and low on algae. This is a simple craft that children can handle with minimal supervisor in an afternoon. You'll find almost everything that you need to make a faux fish tank in your recycling bin and kids will love displaying it in their bedroom - no live fish necessary. Read on to learn how to make a fun imagination-building fish tank in four simple steps. Give your child a stack of paper from the recycling bin, a pencil and a pair of scissors. Then, ask them to draw two or three sea creatures. Place a piece of eco-friendly packing tape on each side of the sea creature to make it waterproof. Then, cut the sea creature shape out again – making sure not to break the tape seal at the edges. 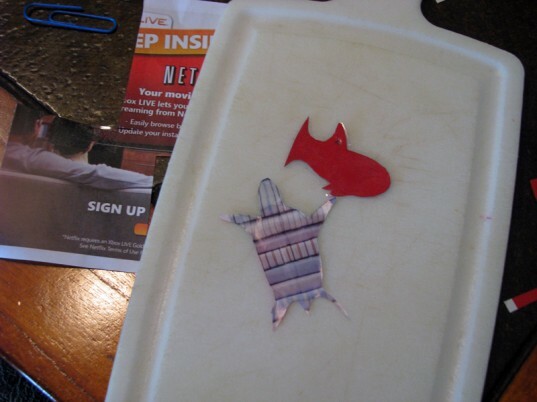 Use a small hole punch or awl to create a hole in the top of your sea creature. 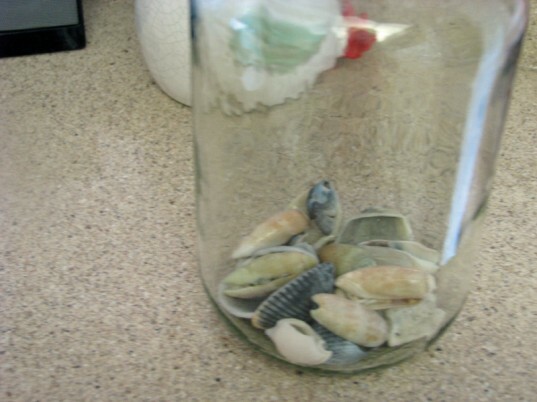 Fill the bottom of the jar with seashells or rocks. Then, place two heavy duty magnets on the inside of the lid. Attach a paperclip to the sea creature, and then attach a piece of string to the paperclip. Attach the other end of the string to another paperclip and secure that paperclip to the magnet on the inside of the lid. 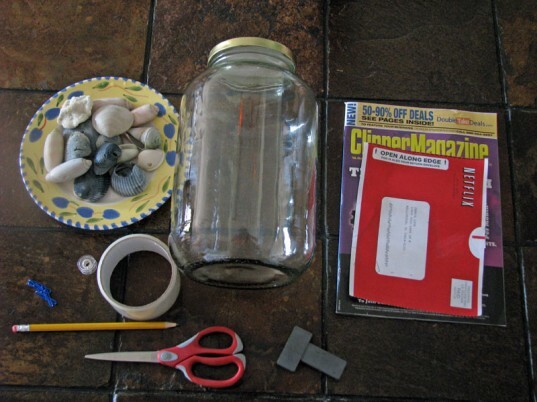 The force of the magnet on the lid will keep the sea creature floating to the top of the jar, while the bottom paperclip will cause the sea creature to slowly “swim” about. Place the fish tank in a bright spot of your child’s bedroom and watch them beam. My son loved the fish tank and wanted to put it on his desk. He likes the way bubbles show up when a light is shined inside and he thought creating the sea creatures was the most fun! Step 1: Create the Sea Creatures Give your child a stack of paper from the recycling bin, a pencil and a pair of scissors. Then, ask them to draw two or three sea creatures. Step 2: Seal the Sea Creatures Place a piece of eco-friendly packing tape on each side of the sea creature to make it waterproof. Then, cut the sea creature shape out again - making sure not to break the tape seal at the edges. 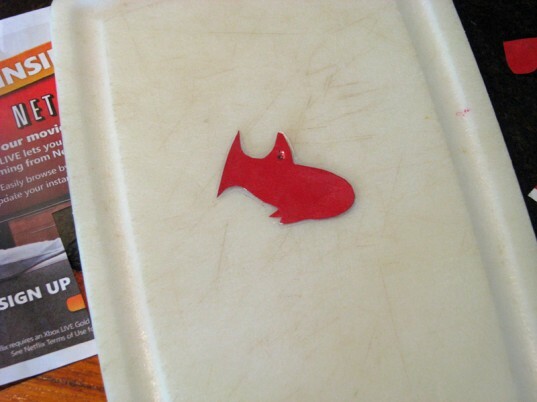 Use a small hole punch or awl to create a hole in the top of your sea creature. 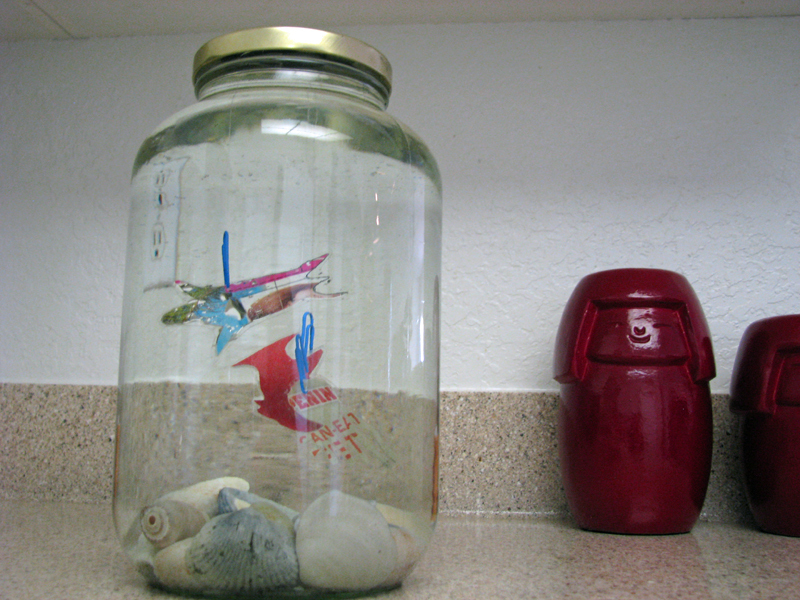 Step 3: Secure the Sea Creatures Fill the bottom of the jar with seashells or rocks. Then, place two heavy duty magnets on the inside of the lid. 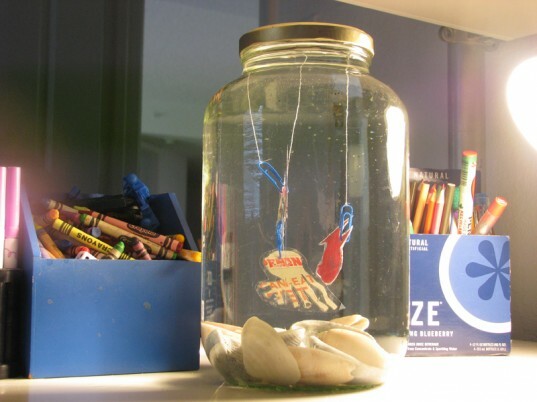 Attach a paperclip to the sea creature, and then attach a piece of string to the paperclip. Attach the other end of the string to another paperclip and secure that paperclip to the magnet on the inside of the lid. The force of the magnet on the lid will keep the sea creature floating to the top of the jar, while the bottom paperclip will cause the sea creature to slowly "swim" about. Step 4: Enjoy your Fish Tank Place the fish tank in a bright spot of your child's bedroom and watch them beam. My son loved the fish tank and wanted to put it on his desk. He likes the way bubbles show up when a light is shined inside and he thought creating the sea creatures was the most fun!